Kris is a soul musician whose music opens the Spirit to new awareness’s. She believes there is a great need for music that supports higher consciousness and personal empowerment. Kris’ music creates a space that allows you to open up to your greatest potential and to dream the dreams of your inner self. It is filled with hope and inspiration and her lyrics and melodies linger with you long after the performance has ended. Kris started playing guitar at age 10 listening to John Denver and Dan Fogelberg. Those influences mixed with her own inspirational lyrics, a unique and angelic voice and a mind for melodies led to songs like Just Breathe, You Are Enough and Love is. For many fans, these songs are anthems to their lives that represent living in the present moment, acceptance of self and the power of love. Kris’s journey across the United States have taken place in intimate living rooms, medical office hallways and grand stages of over 1000 people. 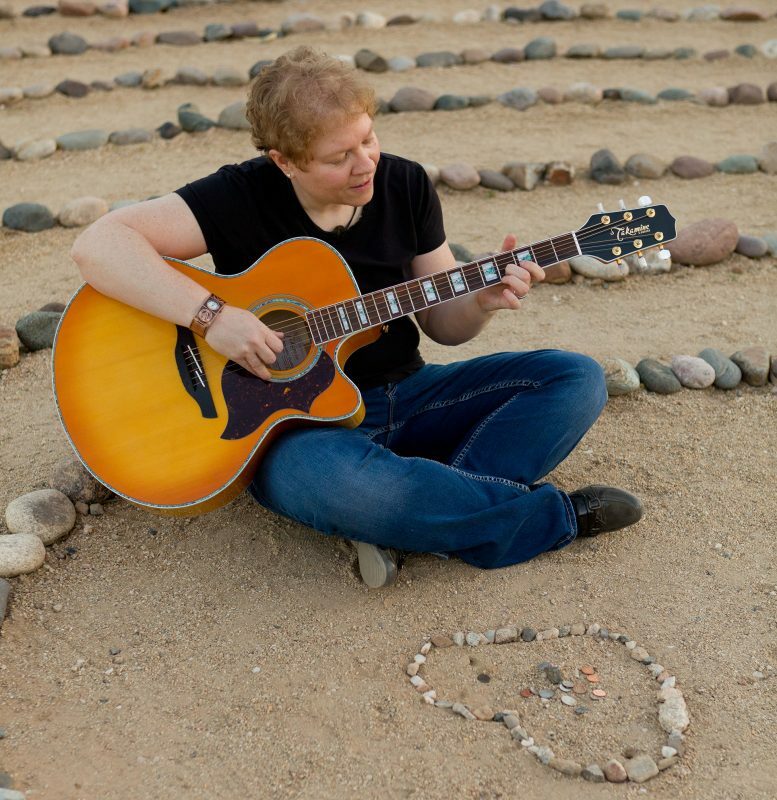 Kris has played on stage with some of the most prominent names in the area of spirituality and metaphysics such as: Sunny Dawn Johnston, Gregg Braden, James Van Praagh, Neale Donald Walsch, Alanis Morissette, Iyanla Vanzant, and more.